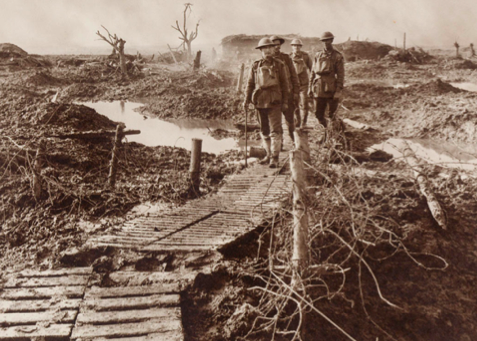 With the One Hundred Anniversary of the end of the Great War commemorated this year, the names of Frank Hurley and Damien Parer are probably as familiar to many people as their photographs, which are often of high aesthetic and technical standard and have been reproduced many times over. Some of their images have achieved icon status, but these men are only two of a large number of war photographers (taking both still and moving images) whose work is held in the Memorial’s collection. 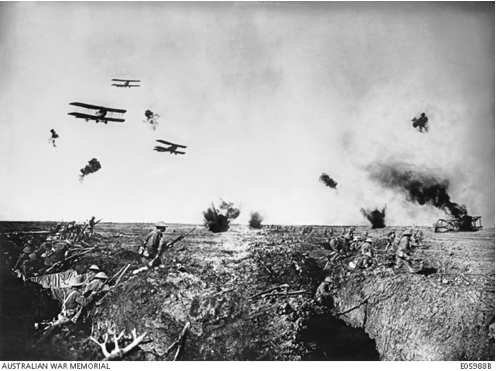 Frank Hurley was appointed Australia’s second official First World War photographer. Hurley had been a prominent commercial photographer in Sydney before his appointment as official photographer for Douglas Mawson’s Australasian Antarctic Expedition (1911–13), and had recently returned from a second Antarctic trip as photographer for Ernest Shackleton’s 1914–16 expedition. When Hurley joined the AIF’s London Administrative Headquarters on 17 August 1917, he was already a figure with a huge reputation, widely recognised for the dramatic and highly aesthetic nature of his work. Hurley spent over three months photographing the Western Front, where he produced some of the finest photographs of his long career. However, he had a difficult time with Charles Bean, who came to resent Hurley’s manner and what he saw as the unreliable nature of Hurley’s work: Hurley would have soldiers restage actions and events that he had missed, and, most controversially, produced composite images that combined fragments form different negatives. 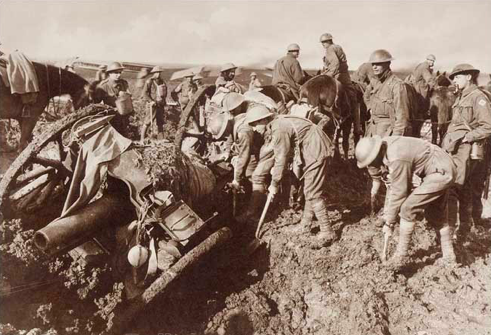 After a series of increasingly acrimonious exchanges with Bean over his use of composites and, more broadly, over the issue of the historical reliability of his work, Hurley left the Western Front in November 1917 for the Middle East, where he photographed the activities of the Australian Mounted Division. Hurley was also appointed an official war photographer during the Second World War, where he again photographed Australian troops in the Middle East. Even sixty years after his death Damien Parer remains one of Australia’s most well-known combat cameramen. 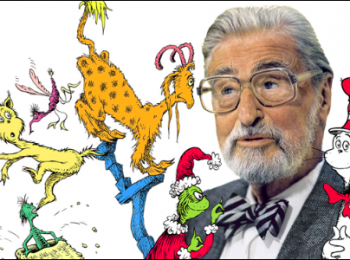 He was born on 1 August 1912 at Malvern in Melbourne but was educated largely in Bathurst, at Saint Stanislaus School. Parer joined the school’s camera club and decided early on that he wanted to be a photographer. Having left school and failing to find photographic work in Melbourne, he resumed his education before finding an apprenticeship. Also interested in motion pictures, Parer, having completed his apprenticeship, moved to Sydney to work with the director, Charles Chauvel. Parer filmed in Greece and in Syria, covering the action from aircraft, the deck of a ship and on the ground with the infantry. After Syria he travelled to Tobruk in August 1941 before covering the fighting in the Western desert. 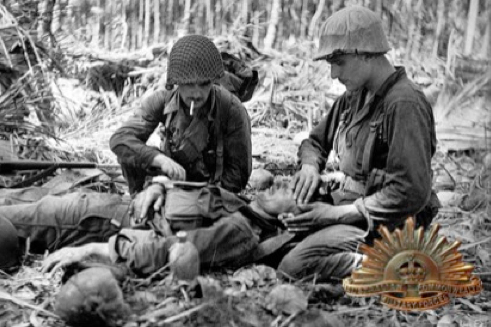 By mid-1942 Parer was in New Guinea ready to cover the fighting against the Japanese. 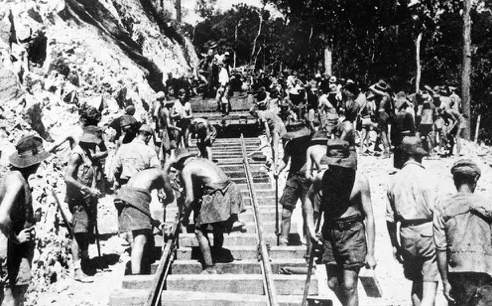 During this phase of the war, he filmed some of his most famous sequences, some at Salamaua and, most notably, those used in Kokoda front line. This documentary won its producer, Ken Hall, an Oscar for documentary film-making. 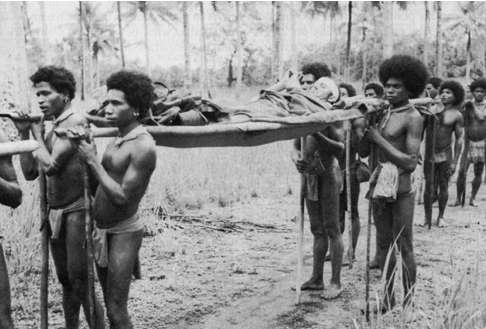 Behind the footage lay Parer’s deeply held desire to draw to public attention, the conditions under which the Australians were fighting in New Guinea. In August 1943, after more than 12 months of rancour and disagreement, Parer left the Department of Information’s employ to work for the United States company, Paramount News. His early assignments involved filming further air raids over New Guinea. On 23 March 1944 during a period of leave, Parer, a deeply religious man, married Marie Cotter in Sydney. Their union was a brief one. 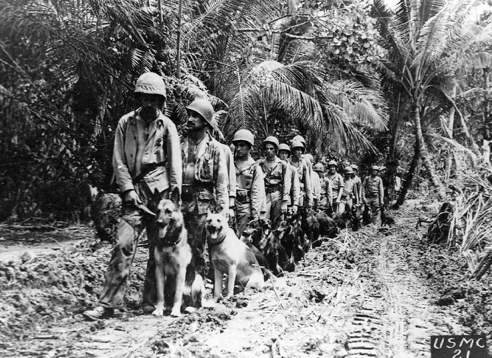 Parer returned to action, leaving the war in New Guinea behind to accompany the United States Marines. He filmed them first on Guam and then covered the Peleliu operation.